Pepper Marine, considers aesthetic and environmental issues when dredging residential and recreational aquatic areas of lake dredging. Our experience and professional approach ensures clean and well-maintained work areas and no shoreline disturbance. The specialists at Pepper Marine are experts in pond construction. Experience the joy and value of a beautiful water feature on your property, and let us help choose the perfect location and design for your pond. Pepper Marine has experienced personnel and equipment for pile driving all type of piling whether for seawalls, shoring, or bridges. Let Pepper Marine of East Texas help you with all your pile driving needs. Whether stumps are a hazard for navigation or simply eyesores, stump removal can be necessary. Removing stumps is often challenging requiring special machinery. Pepper Marine is fully equipped to provide the perfect solution for your needs. Pepper Marine of East Texas, considers aesthetic and environmental issues when dredging residential and recreational aquatic areas. Our experience and professional approach ensures clean and well-maintained work areas and no shoreline disturbance. The specialists at Pepper Marine of East Texas are experts in pond construction. Experience the joy and value of a beautiful water feature on your property, and let us help choose the perfect location and design for your pond. Pepper Marine has experienced personnel and equipment for installing all type of piling whether for seawalls, shoring, or bridges. Let us help you by providing an effective solution for your particular needs. Pepper Marine leads the industry in professional waterway solutions for East Texas, Oklahoma, Louisiana and Arkansas. Our supervisors have a combined experience of 66 years providing pile driving & mechanical dredging of lakes, drainage canals and ponds of all types, from aesthetic to fish ponds, subdivision storm water retention to golf course ponds, new, natural, even lakes. We also design effective shoreline protection. One size does not fit all clients. We know that. Pepper Marine approaches all solutions as unique. 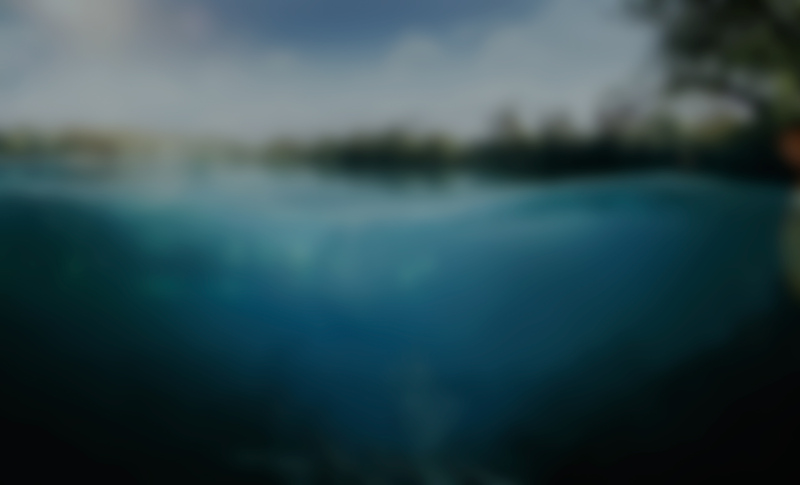 Let us have a fresh look at your waterway maintenance concerns. We’re ready to be your specialists. Pepper Marine of East Texas combines specialized equipment with experienced personnel to complete projects with care to preserve existing improvements. 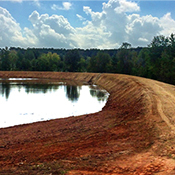 We work safely and efficiently using East Texas drag lines, long-reach excavators, low ground pressure dumpers, East Texas marsh excavators, East Texas spoil barges, stump removal barges and all support equipment needed to complete your projects.Lake or pond projects. At Pepper Marine in East Texas, we consider aesthetic and environmental issues when dredging residential and recreational aquatic areas. Our experience and professional approach ensures clean and well-maintained work areas and no shoreline disturbance. 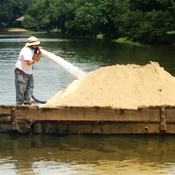 Pepper Marine will dredge ponds and lakes of East Texas or surrounding areas with minimal disturbance of the surrounding land or roads. Our operations also take care not to disturb the improvements surrounding the water. Pepper Marine removes unwanted sediment and other debris to keep ponds looking fresh and clean. Our specialized Marsh Excavators and Spoil Barges make the job efficient and without requiring the lake or pond to be drained. Dredging waterways and creeks to increase runoff of storm water is one of our specialties. 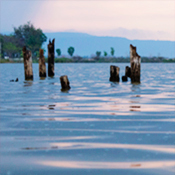 The natural phenomena of silt and sediment requires dredging to restore lake storage capacity and navigation. 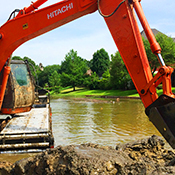 Effective and safe lake dredging demands specialized equipment such as East Texas marsh excavators and East Texas spoil barges, and experience personal to complete the project safely on dealing with different bodies of water. 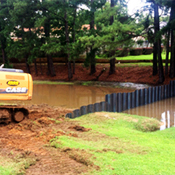 The specialists in East Texas at Pepper Marine are experts in pond construction. Farm ponds, stock ponds, detention ponds, storm water ponds, up to large lakes can all be completed successfully by Pepper Marine. Using Excavators, Dozers, Scrapers, Dump Trucks and Marsh Equipment and Drag Lines to dig lakes in wet areas. To experience the joy and value of a beautiful water feature on your property, let us help you choose the perfect location and design for your pond. Certain regions of the country demand the liming of lakes and ponds to maintain a thriving aquatic environment with suitable pH levels. Pepper Marine of East Texas Liming also helps remove suspended solids, creating better water quality, a healthier habitat for aquatic life and a more-beautiful pond or lake. Liming lakes in East Texas. In natural aquatic ecosystems, aquatic plants and algae add oxygen through the process of photosynthesis and by diffusion at the water’s surface and atmosphere interface. Respiration by animals, plants and bacteria uses this oxygen. Bottom-diffused aeration adds oxygen to your body of water, speeding up the breakdown of organic matter that promotes algae growth. Installation of aeration equipment, used in conjunction with proper algae and weed treatment programs, results in increased oxygen levels and an aesthetically pleasing body of water in our environmentally sensitive world. 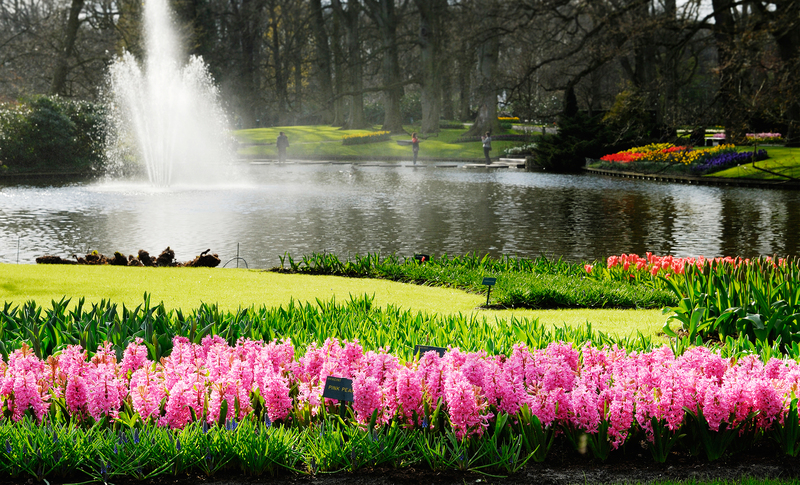 Aeration and fountain systems help control algae build up, aquatic odors, aquatic weeds and bottom sludge in lakes and ponds. Air column aeration diffuses millions of small bubbles into the bottom of a lake. This air column brings oxygen into the water and promotes the same or better water quality than a fountain. 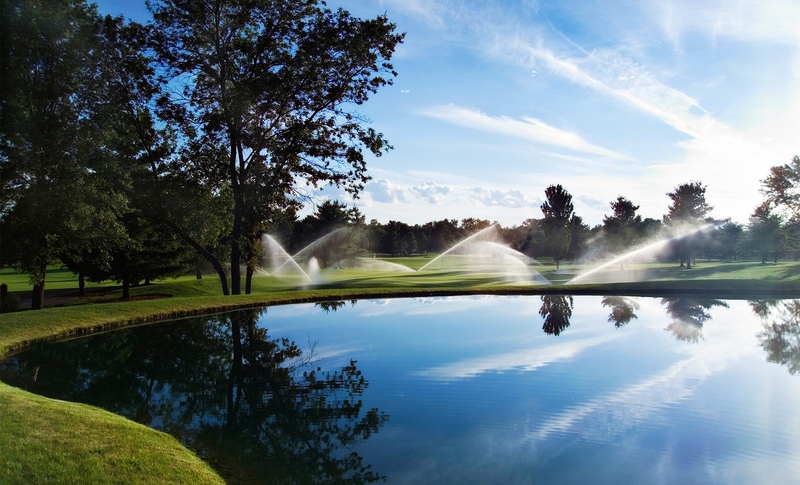 Fountains often have increased evaporation in lakes and ponds, so an air column system has advantages in some areas. Certain regions of the country demand the liming of lakes and ponds to maintain a thriving aquatic environment with suitable pH levels. 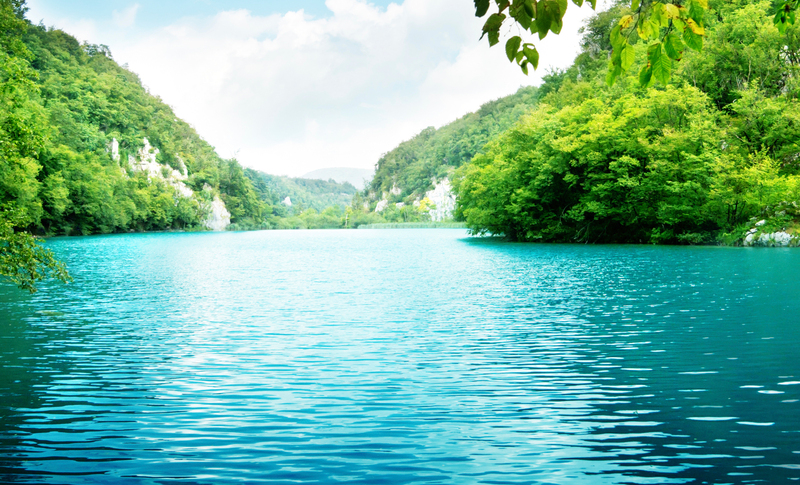 Liming also helps remove suspended solids, creating better water quality, a healthier habitat for aquatic life and a more-beautiful pond or lake. Pepper Marine of East Texas has experienced personnel and equipment for installing all type of piling whether for seawalls, shoring, or bridges. Let us help you by providing an effective solution for your particular needs. Steel sheet piling, a manufactured construction product, features a mechanical connection "interlock" at both ends of the section that link with one another to form a continuous wall of sheet piling. Section geometry contributes to structural strength, and the soil in which the section is driven has numerous mechanical properties that also impact the performance. To maintain a chemical barrier against termites, decay and marine borders, chemical preservatives are forced under pressure into the cellular structure of wood in a closed cylinder so it can be used in marine piling. A Piling system which uses I-Beams and Plate to construct retailing walls and sea walls economically. This is an economical solution for sea walls head walls and erosion areas where sheet piling is normally used. This is perfect for East Texas and surrounding area. When there is a concern about spoil rising at the surface from an installation, driven concrete piles have benefits. These displacement piles are made of prestressed concrete, making them more resistant to the tensile forces that arise during the driving process. This leads to less damage to the pile, and little or no spoil at installation. Most soil at or near the surface lack the mechanical properties to support large buildings. This requires driving pipe piles into the ground for deep foundation applications. The substantial surface area of pipe piles interacts with the surrounding soil to provide great frictional load resistance. Whether a stump is a hazard in the navigation or simply an eyesore, stump removal can be necessary. Stump removal can be challenging and often requires special machinery. At Pepper Marine of East Texas we are fully equipped to provide the perfect solution for your needs. Pepper Marine can remove 36” stumps at a 10 foot depth at a high production rate. Other methods include underwater sawing by qualified personnel. Whether a stump is a hazard in the navigation or simply an eyesore, stump removal can be necessary. It is also challenging and often requires special machinery. Pepper Marine can remove 36” stumps at a 10 foot depth at a high production rate. Other methods include underwater sawing by qualified personnel. Pepper Marine leads the industry in professional waterway solutions since 1979 satisfying thousands of happy customers. We're ready to be your specialists too.